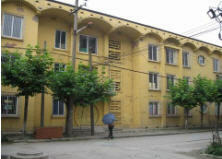 Built on 1975, the kindergarten HongYuan originally belonged to a big national steel company, the “Great Walls Steel”, situated in the suburb of Jiangyou city. 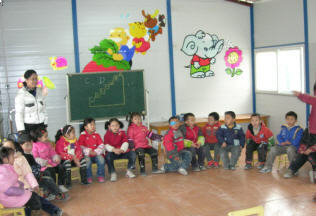 The kindergarten occupies an area of 6350 m2 and had a capacity of hosting 800 children aged from 3 to 6 years old. 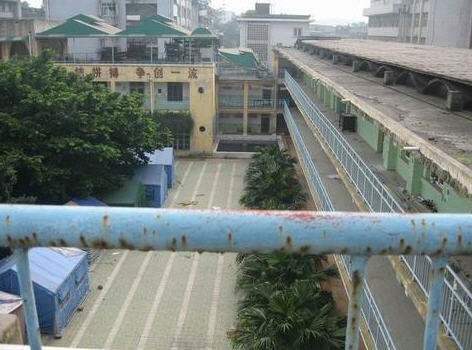 In 2003, after the privatisation of the most state-owned companies in China, the kindergarten lost the financial support from the Great Walls Steel Com and has been under the control of a small service company named HongYuan (whom major activities are the management of the canteens of the Great Walls Steel). For lack of the competition, the Great Walls Steel has been constantly in deficit since its privatisation. 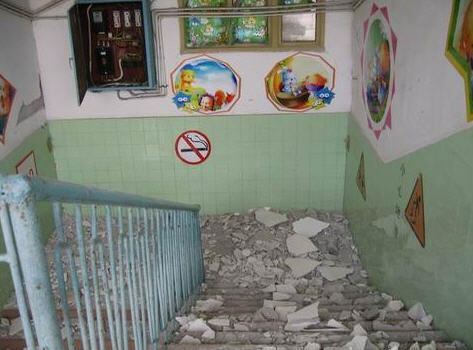 Consequently, the parents of the kindergarten’s children cannot afford even moderate registration fees. 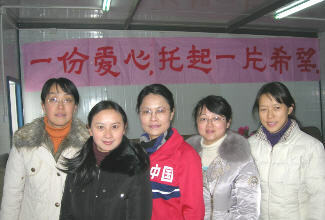 In order to improve the situation, the 60 teachers of the kindergarten have been working very hard and they finally were recognized as one of the role model kindergartens of the Sichuan province (The image on the left shows the team leaders of the kindergarten). 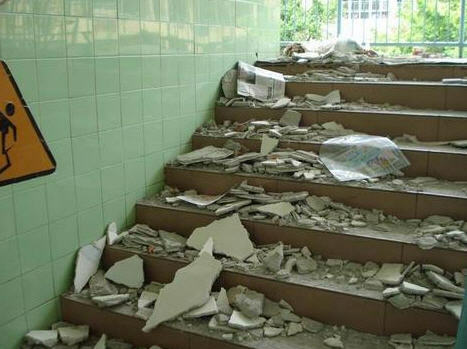 Unfortunately, their hopes and efforts were shattered by the big earthquake, which seriously damaged most buildings of the kindergarten and destroyed one. 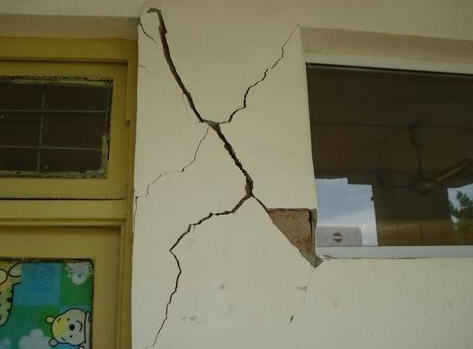 Three of the four buildings can be repaired in accordance with local ordinances but the 4th building must be rebuilt completely. 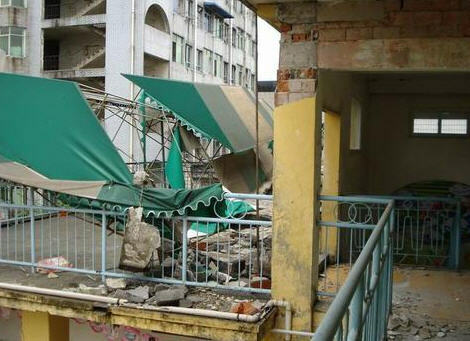 However, HongYuan Service Company has no financial capacities even of demolishing the dangerous building. 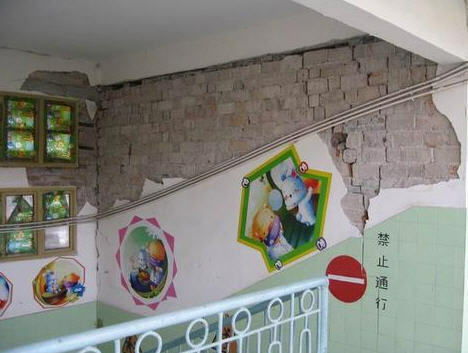 Consequently, the three other buildings of the kindergarten cannot be repaired either, because they are too close to the building that could collapse at any moment. 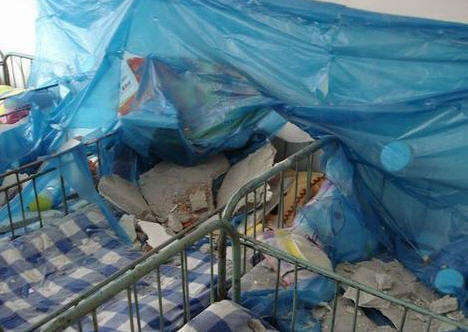 Thanks to the governmental help and some donations, the surviving children from this natural disaster have been temporarily settled in the prefabricated houses, which are alas far from their homes and are not safe in adverse weather conditions as shown in the image on the left. 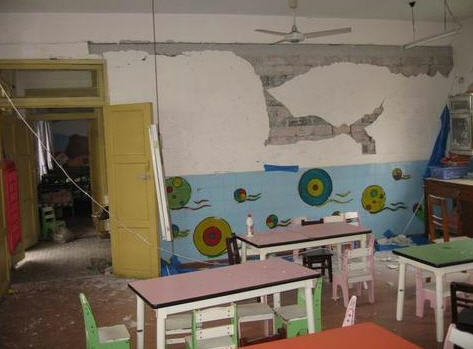 That is why our association PMME decided to act in order to bring some hope to the children terrified by their experience of the earthquake as well as secure the future of the dedicated teachers who could lose their life’s effort if no other help is forthcoming. 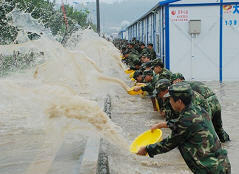 Please support our humanitarian action with your generous donation. 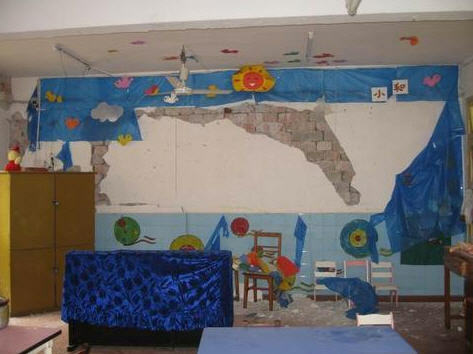 The children who survived the earthquake desperately need your help!